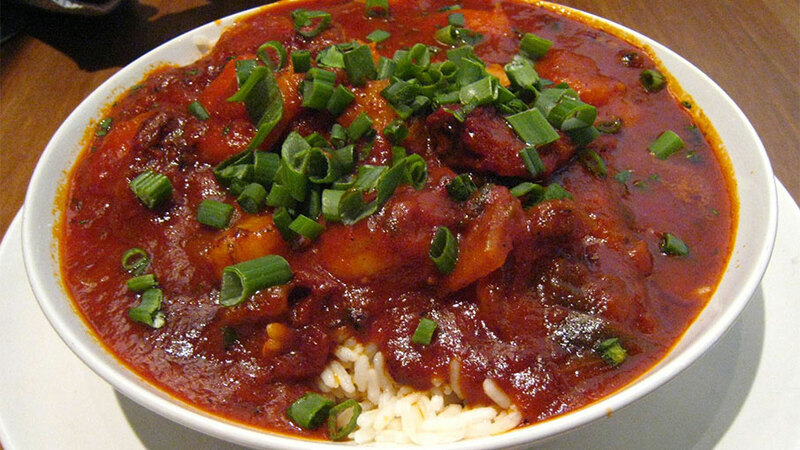 With this recipe for shrimp creole, start with the base and add half of the seasonings (if you do not want it hot) and go from there. To some folks, this could be fed to a baby it's so mild, and to others, they couldn't eat a tablespoon of it. This recipe contains what Cajuns call the "holy trinity" - celery, bell peppers and onions. If you can, only buy shrimp exactly the way they came out of the sea, put the shells and heads in 2 cups of water and boil down until you get about 1/8 of a cup and add it to the mixture, it will add much more shrimp flavor to the dish. In a 2 quart saucepan, melt butter over medium heat. Add onion, green pepper, celery, and garlic; cook until tender. Stir in tomatoes, tomato paste and seasonings. Bring to a boil, stirring frequently and let simmer for 1 hour. Stir in shrimp, and cook for 5 minutes until cooked. Serve over white rice.